Perry Haas has been working in ceramics since 2003. He holds a BFA in ceramics from Utah State University. Ceramics has taken him to China where he studied at JCI, and Korea where he stayed and studied with ceramic artist Hung Chung Lee. Perry Haas’s work has been in numerous exhibitions, most recently at Northern Clay Center, Minneapolis, Minnesota, Crimson Laurel Gallery, Bakersville, North Carolina and Lillstreet Art Center in Chicago, Illinois. He has been in international shows including ICMEA emerging artist in China, and has received a Purchase Award from NCECA Biennial. Perry has held residences in Missoula, Montana and internationally at Guldagergaar, Denmark. He has been awarded the Young Wood Fire Artist Award of 2014 at the European Wood Fire Conference. Currently Perry is a Long Term Resident at Red Lodge Clay Center. Thomas received his MFA with a Merit Scholarship at The School of the Art Institute of Chicago. Before that he received a BFA in Printmaking at Tyler School of Art, Temple University in Philadelphia, PA. Founder and Master Printer at Hummingbird Press Editions located on Chicago's South Side, Thomas has published such artists as Kerry Marshall, William Conger, Richard Hunt, Willie Cole and Barbara Jones-Hogu to name a few. He as taught at Tyler School of Art, The School of the Art Institute Chicago. Milwaukee Institute of Art and Design, Anchor Graphics Columbia College, Penland School of Crafts and Ox bow and is currently on faculty at Chicago State University. His own artworks are included in various private and public collections, exhibits nationally and abroad. Gallery repesentation by N’Namdi Contemporary Miami-Detroit. Ashley Lyon is a sculptor who makes her home in Hornell, N.Y., where she is the Turner Teaching Fellow in ceramics at Alfred University and co-director of the Belfry, an artist-run exhibition space. She received a BFA in ceramics from the University of Washington in Seattle in 2006 and an MFA in sculpture and extended media at Virginia Commonwealth University in 2011. She received an Elizabeth Greenshield Grant in 2011 and she has been awarded residencies at the Archie Bray Foundation for Ceramic Arts, Anderson Ranch Arts Center, Bemis Center, and the European Ceramic Workcentre. Her work has been featured in exhibitions throughout the northeastern U.S and in the Netherlands. Ian McMahon was born in Ithaca, NY. He received is BFA in Ceramics from Alfred University and his MFA in Sculpture from Virginia Commonwealth University with the Jacob K. Javits Fellowship. Currently living in Hornell, NY he is the co-founder and co-director of the Belfry, an artist run exhibition venue. McMahon's work has been shown both nationally and internationally. His sculptures challenge the permanence of art and the permanence of place through performative and materially focused temporal constructions. David Peters was born and raised in Amarillo Texas. The son of a wood-shop and earth science teachers, he was curious about the natural world and made things at a young age. He went on earned his bachelors of art from Utah State University. While an artist in resident at the Archie Bray Foundation, David began using locally sourced materials for his work. During graduate work at Montana State University he researched and refined his unique approach to wood-firing through kiln design and experiments with CAD. He has returned to Helena, Montana where he is a full time artist. Born in Miami, Florida and raised in Delaware, Paul Andrew Wandless currently lives and has his studio in Chicago, IL. Wandless authored Image Transfer On Clay, 500 Prints on Clay, co-authored Alternative Kilns & Firing Techniques and frequently writes for several arts magazines on a variety of topics. He is featured in the DVD, Fundamentals of Screen Printing On Clay. He has given numerous workshops and lectures regarding his art, techniques and research around the U.S. and Canada on his clay work, prints, sculptures, paintings and drawings. He also served on the Executive Boards for the National Council on Education for the Ceramic Arts (NCECA) and the Potters Council. BFA 1969 Michigan State University; MA 1985 Western Michigan University; Post-Graduate Work 1985 - 1990 Michigan State University. I began working in glass in 1972 as a part of the experimental beginnings of the Pilchuck Workshop glass school in Washington State. I was accepted to be one of 30 students that summer to work and study glass under the direction of Dale Chihuly and Fritz Dreisbach. In 1985 I started the Ox-Bow glass studio and in 1991 I opened my own studio in nearby Glenn, Michigan, until 2004 when I moved the studio to Benton Harbor, MI and started “Water Street Glassworks“ - a not-for-profit school of the glass arts. As for most people, I am enlivened by the medium of glass - both in its glowing molten state and its striking optical splendor. The blowing and sand-casting processes inspire my creative process. The very physical process of blowing and casting fit my creative concepts and energetic temperament - forcing me to be more intuitive and react more spontaneously. Glass as a material takes on a meaning beyond its optical beauty. Its reflections, distortions, and ‘solid yet transparent’ properties - for me, are metaphors for illusion, paradox, insight, allusion and deception. It can represent a vision, a spirit, an illusion, a memory, a mirage or an ephemeral moment in time. Designer Anthony Cioe is the founder of Ciovere, is an independent hand-made glass studio located in Brooklyn, New York. Cioe holds a BFA from Rhode Island School of Design and an MFA from Virginia Commonwealth University. Cioe has apprenticed in Murano with Davide Salvadore, and held residencies at Kohler Arts/Industry working in pottery in 2006 and The Corning Museum of Glass in 2014. His works are represented in the collections of the John Michael Kohler Arts Center in Sheboygan, WI, and The Museum of American Glass in Millville, NJ. Ciovere designs have received national and international recognition as featured by Food & Wine Magazine, Time Out New York and Details Magazine among others. Arlo Fishman is an artist, fabricator, and educator in the San Francisco Bay area. Presently, he teaches hot glass and light art classes at the Crucible in Oakland, CA. He has also taught neon at the Penland School of Crafts. Arlo has shown work in group exhibitions at the 1000 Van Ness Gallery in San Francisco, the Museum of Neon Art in Los Angeles, and the Felix Kulpa Gallery in Santa Cruz. Katherine received her undergraduate degree from Ontario College of Art in Toronto, and her MFA from Rhode Island School of Design in Providence, RI. Her work has been exhibited most recently at the Glasmuseet Ebeltoft in Denmark, Urban Glass in New York, and Galerie Handwerk in Munich. She has shown with See Line Gallery and Acuna-Hansen Gallery, both in Los Angeles, and been reviewed in the LA Times and on Artforum.com. Her work can also be found in the collections of the Corning Museum of Glass and the Tacoma Museum of Glass, among others. Katherine has written about glass, curated several exhibitions, and has taught workshops around the world. Currently, she lives and works in Los Angeles, California, and is an Associate Professor in Art at California State University, San Bernardino. Emma Stein received her BFA in glass in 2011 from Alfred University and her MFA in glass in 2013 from Rhode Island School of Design. Her work is an exploration of natural systems through various man-made and natural materials, working principally in glass while also using fabric, drawing and organic materials. Her work has been shown at The National Liberty Museum, the RISD Museum, and The Everhart Museum. She is currently working on several pieces for an installation at St. Ann's Trinity Church in Brooklyn, NY. As a glass instructor, she has taught at Buck's Rock Camp, Brooklyn Glass and UrbanGlass. She currently lives and works is Sheboygan, WI. Lauren Anderson lives and works in Chicago, IL. She shares a birthday with Richard Pryor, and earned a BFA from the School of the Art Institute of Chicago. She has exhibited at ADDS DONNA, Adult Contemporary, CCS Bard, Golden Age, Megamall, and Roots and Culture, and you can find her publications in the collection of the Museum of Modern Art Library, at Printed Matter, Ooga Booga, and elsewhere. Isak Applin’s recent work celebrates the lost legends, love stories and eccentric characters unique to the mill towns and seaports of the American Northeast. Isak’s paintings and drawings have been exhibited throughout the US, Canada, Germany and, most recently, at the Hughes Gallery in Sydney, Australia. An avid printmaker, his graphic work may be found in New York Public Library’s Special Collections and the Boston Public Library Print Collection. He currently resides in Chicago. Works in fabric, video, gesture, response to site and the natural world coalesce in Dana Carter's materially inventive installations. MFA UIC, School of Art & Architecture. Selected exhibitions; MassArt, Elmhurst Art Museum, Centre de Desarollo de las Artes Visuales, Havana, Cuba American Institute of Architecture, New Orleans; LeRoy Neiman Center for Print Studies, Columbia University, New York; Hyde Park Art Center, Chicago; Iceberg Projects, Chicago; Glass Curtain Gallery Columbia College, Chicago; Vox Populi, Philadelphia; Gahlberg Gallery, College of Dupage; Locust Projects, Miami; The Bioscope, Johannesburg, South Africa. Teaching = Museum of Contemporary Art, Ox Bow (Bookmaking), School of the Art Institute of Chicago (Printmedia & Sculpture) & Columbia College (Printmedia). Jeanine Coupe Ryding’s work has been shown throughout the U.S. and abroad. Perimeter Gallery, Chicago; Atrium Gallery, St. Louis; Olson Larsen in Des Moines and August Art, London represent her work. She concentrates in woodcut prints, etchings, artist’s books, drawing and collage and has founded both Shadow Press and Press 928 in Evanston, Illinois for fine art publishing. She received her BA from The University of Iowa and her MFA from Universitat der Kunste, Berlin, Germany. She has received various awards and residencies including Illinois Arts Council Award, Arts Midwest, Frans Masereel Center, Belgium and Anchor Graphics, Chicago. She teaches at the School of the Art Institute of Chicago. Geoffrey Hamerlinck earned an MFA from The School of the Art Institute of Chicago in 2008 and a BFA from St. Cloud State University in 2005. He has shown prints and drawings at Soo Visual Art Center in Minneapolis, Speedboat Gallery in St. Paul, Eel Space in Chicago, and various other places across the Midwest. Geoffrey is an Adjunct Professor of Art at St. Cloud State University. Adjunct Professor, Printmedia (1981). BA, 1976, Southern Connecticut State College; MFA, 1978, Ohio State University. Concurrent position: Janet and Craig Duchossois Curator of Prints and Drawings, The Art Institute of Chicago. Exhibitions organized: The Art Institute of Chicago; Intuit: The Center for Intuitive and Outsider Art. Publications: Martin Puryear: Multiple Dimensions (forthcoming), Contemporary Drawings from the Irving Stenn, Jr. Collection; Jasper Johns: Gray; The Picture Tells the Story: The Drawings of Joseph E. Yoakum. Paula Wilson (American, b. 1975) received her MFA from Columbia University in 2005 and has since been featured in group and solo exhibitions in the US and Europe, including the Studio Museum in Harlem, Sikkema Jenkins & Co., Bellwether Gallery, Fred Snitzer Gallery, The Fabric Workshop and Museum, Johan Berggren Gallery in Sweden, and Zacheta National Gallery of Art, Warsaw. Wilson is a recipient of numerous grants and awards including a Joan Mitchell Artist Grant, P3Studio Artist-in-Residency at the Cosmopolitan in Las Vegas, and the Bob and Happy Doran Fellowship at Yale University. She lives and works in Carrizozo, New Mexico. David Wolfe is the proprietor of Wolfe Editions, a letterpress and fine art print studio working with artists to print editions of books and prints. David has taught book design and book arts at The Maine College of Art, Bowdoin College, Wellesley College, and Dartmouth College, along with ongoing letterpress and book arts classes in his own studio. He was the Master Printmaker for the 2009 winter residency program at Penland School of Crafts in North Carolina. David won the 2010 Traditional Arts Fellow from the Maine Arts Commission, honoring his thirty years of letterpress printing in Maine. In 2014 he received a grant from the Maine Arts Commission to support his Master Printer Training Program. Claire Ashley is from Edinburgh, Scotland. She currently teaches at the School of the Art Institute of Chicago. Ashley’s work investigates inflatables as painting, sculpture, installation and performance costume. She has shown nationally and internationally. Selected venues include: Tetley Gallery, Leeds, UK, Disjecta Contemporary Art Center, Portland OR; Columbus College of Art and Design, Columbus, OH; The Icebox at Crane Arts, Philadelphia, PA; DeCordova Sculpture Park and Museum, Lincoln, MA; the Museum of Contemporary Art, and the Chicago Cultural Center, Chicago, IL. She is represented by Galleri Urbane Marfa + Dallas, TX, and RÖR Contemporary, Miami, FL. Carrie Gundersdorf is an artist based in Brooklyn, NY. She has had solo exhibitions at the Museum of Contemporary Art and Shane Campbell Gallery, Chicago, IL. Group exhibitions include 106 Green, NY; La Box, Bourges, France; Mills College of Art Museum, Marc Foxx Gallery, CA; Hyde Park Art Center, Gallery 400, Kavi Gupta Gallery, Chicago, IL, among others. Her work has been discussed in Art Review, Artforum.com, Artnet, Art on Paper, Chicago Tribune, and Time Out Chicago. She has a B.A. from Connecticut College and a M.F.A. from the School of the Art Institute of Chicago. 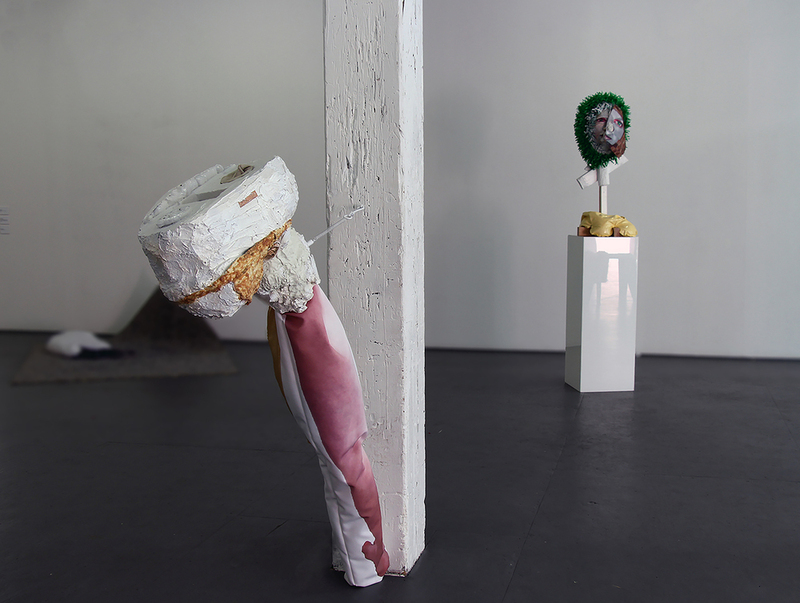 Valerie Hegarty's solo exhibitions include Nicelle Beauchene, NY; Marlborough Gallery, NY; Locust Projects, Miami; Museum 52, London; The MCA Chicago, Guild & Greyshkul, NY, among others including a commission for a public sculpture on the High Line and installations in The Brooklyn Museum historic period rooms. Hegarty has been awarded numerous grants such as the Pollock Krasner Foundation, NYFA, the Rema Hort Mann Foundation, and the Tiffany Foundation. Hegarty received an MFA from The School of the Art Institute of Chicago, a BFA from San Francisco’s Academy of Art College and a BA from Middlebury College, VT. She is represented by Mike Weiss Gallery in New York. Vera Iliatova moved to the US in 1991 at the age of 16 from St. Petersburg, Russia. She earned an MFA in painting/printmaking from Yale University and a BA from Brandeis University. She has also studied at the Sorbonne University in Paris and completed a residency at Skowhegan School of Art in Maine. Iliatova was a Louis Comfort Tiffany Foundation nominee in 2009 and completed a studio residency at Marie Walsh Sharpe Space Program the same year. She is represented by the Monya Rowe Gallery in New York, where she has shown her work in four solo exhibitions. She has also shown at La Montagne Gallery in Boston and in group exhibitions at David Castillo Gallery, in Miami, at CTRL Gallery in Houston, the Massachusetts College of Art and Design in Boston and Pace University in New York City. Her work has been reviewed in Art in America, Artforum, The New York Times, The Houston Chronicle, The Boston Globe and The Philadelphia Inquirer, among publications. She currently lives and works in Brooklyn, NY. Olivia Petrides has exhibited in galleries and museums in Iceland, the Faroe Islands, Scotland, Seattle, Washington, D.C., and Chicago. Her works are in the collections of the Smithsonian Institution; the United States Park Service; the Field Museum; the Illinois State Museum; Openlands Preservation Association; and Iceland’s Hafnarborg Institute of Art, among others. She has received a Fulbright Grant; American-Scandinavian Foundation Grants; Margaret Phillips Klimek Fellowship; Chicago Community Arts Assistance Program grant; an Illinois Arts Council Governor’s International Exchange Award and an Illinois Arts Council Special Projects Award. She has been awarded residencies at the Rekjavik Municipal Museum and the Gil-society in Iceland; the Faroe Islands Museum of Natural History; the Virginia Center for the Creative Arts; the Vermont Studio Center; Catwalk, New York; Yellowstone National Park; and the Ragdale Foundation. Petrides received her M.F.A. from the School of the Art Institute of Chicago, where she is currently an Adjunct Associate Professor in the Painting & Drawing Department and the Visual Communications Department. Performances/Exhibitions: University of Chicago; University of Minnesota; Atlanta College of Art; Western Michigan University; Chicago Cultural Center; Cajarc, France; Awards: Illinois Arts Council Individual Artist’s Fellowship; Chicago Council of Fine Arts; Alliance of Independent Colleges of Art Grant; School of the Art Institute Faculty Enrichment Grant; IAC Governor’s International Arts Exchange Grant. Claire Sherman, b. Oberlin, OH. Lives and works in New York. Claire Sherman received her B.A. from The University of Pennsylvania and her M.F.A. from the School of the Art Institute of Chicago. Recent exhibitions include solo shows at DC Moore Gallery, NY; Kavi Gupta Gallery, Chicago; Houldsworth Gallery, London; DCKT, New York; Aurobora, San Francisco; and Hof and Huyser Gallery, Amsterdam. Recent group exhibitions include the Contemporary Jewish Museum, San Francisco; Gallery Seomi, Seoul, The New Gallery, Austria; and the Neuberger Museum of Art, Purchase, NY, and the Kentucky Museum of Art and Craft, KY. Sherman is an Assistant Professor at Drew University in New Jersey and is represented by DC Moore Gallery in New York and Kavi Gupta Gallery in Chicago. The paintings of Peter Williams have been described by artist and writer William Eckhardt Kohler as “in no particular order: hallucinogenic, acerbic, pained, beautiful, confessional, obsessive, critical, jarring, wild, weird and profoundly human. They are born from Williams’ experiences of race, appetite, and physical vulnerability. The visual lexicon is a heady blend of psychedelic color, abstract pattern, and cartoon-manic imagery.” Most recently Williams has had solo exhibitions with Foxy Productions in New York City and Paul Kotula Projects in Detroit. 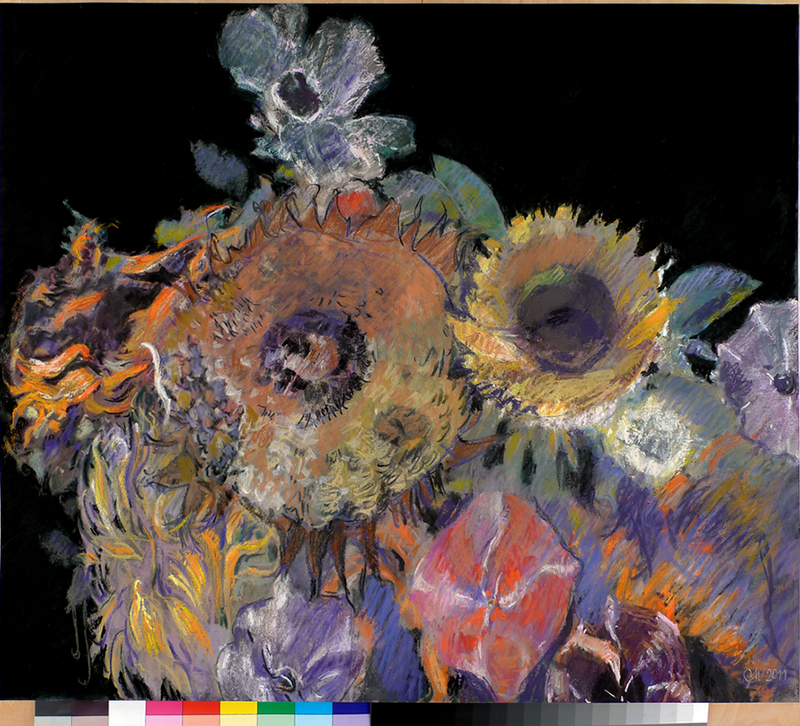 Recipient of numerous grants, including a Joan Mitchell Award, his work was included in the 2002 Whitney Biennale and is in the permanent collection of the Detroit Institute of Art. Scott Wolniak is a multidisciplinary artist based in Chicago. His work in drawing, painting and sculpture explores the intersection of studio art and everyday life. He has exhibited at the Museum of Contemporary Art, Chicago, Art Institute of Chicago, Chicago Cultural Center and the Hyde Park Art Center. His work has been reviewed in Artforum, Art in America and Art News, and featured in New American Paintings. Wolniak received a BFA from SAIC in 1995 and MFA from the University of Illinois at Chicago in 2002. He teaches at the University of Chicago and is represented by Valerie Carberry Gallery. Jimmy Wright: In 2014 his work was on view at Leslie Heller Gallery, New York City; Forum Gallery, New York City; Nassau County Art Museum, New York; Brattleboro Museum, Vermont; Saugatuck Center for the Arts, Michigan; Art Cologne, Germany; Frieze Masters, London; Hang Ming Shui Pastel Art Museum, Suzhou, PR China . His work is in the permanent collections of the Art Institute of Chicago, Illinois and the Metropolitan Museum of Art, New York City and collections in the USA and Europe. DC Moore Gallery, New York City and Corbett vs Dempsey, Chicago, Illinois have presented several solo exhibitions of his work and represent the artist. Heather Mekkelson lives and works in Chicago. Solo and two-person exhibitions include Now Slices at 65GRAND, Invisible Apocalypse at Roots & Culture; Heather Mekkelson at +medicine cabinet; Limited Entry at Old Gold; Debris Field at threewalls; and Out Land at STANDARD (all Chicago, IL.) Her work has also been in group shows at The Museum of Contemporary Photography (Chicago, IL), The Figge Art Museum (Davenport, IA), The Poor Farm (Manawa, WI), Raid Projects (Los Angeles, CA), and Vox Populi (Philadelphia, PA). Mekkelson's work has been written about in Art Journal, Broadsheet, Time Out Chicago, New City, Chicago Tribune, Artforum.com and others. In 2012 she became an Artadia Award Chicago awardee. Mekkelson is represented by 65GRAND. Kari Reardon is a Los Angeles based artist originally from Minneapolis Minnesota. She received her BFA from the School of the Art Institute of Chicago in 1999 after studying at the Studio Arts Center in Florence Italy and completed her MFA in 2012 from the California Institute of the Arts. Kari has been a recipient of numerous grants, residencies and fellowships throughout the US and internationally. Currently she has a studio in Mount Washington and teaches bronze casting and beginning 3-D design at California State University-Northridge. Veleta Vancza began her career as an art/studio jeweler creating one-of-a-kind conceptual works. More recently she has been working on a larger scale creating sculpture, wall pieces & installations using vitreous enamel on metal integrated with new technologies such as sound-mapping & 3D rendering software. She is recognized for her experimental use of vitreous enamel as an adhesive, as well as her innovations with phosphorescent enamels. Veleta is also the creator of MINE Luxury Nail Lacquer, a nail polish that is pigmented exclusively with precious metals. MFA Cranbrook Academy of Art 2003; BFA State University of New York, New Paltz 2000; AAS Fashion Institute of Technology 1993. Jovencio De La Paz is an artist, writer, and teacher living and working in Chicago, Illinois. Using traditional Southeast Asian batik methods, de la Paz makes large scale textiles in indigo. Recently, he has shown work at the Museum of Contemporary Craft in Portland, OR; SOIL Gallery in Seattle, WA; the Sculpture Center in Cleveland, OH; the Chicago Artist's Coalition in Chicago, IL; and the Hiram Van Gordon Memorial at Tennessee State University, to name a few. He received a BFA from the School of the Art Institute of Chicago and an MFA from the Cranbrook Academy of Art, Department of Fiber. Jovencio teaches in the Department of Fiber and Material Studies at the School of the Art Institute of a Chicago. Andrea Peterson is an artist and educator. She lives and creates work in northwest Indiana at Hook Pottery Paper, a studio and gallery co-owned with her husband. She combines paper arts, printmaking and book arts to make works that address human relationship to the environment. She teaches and lectures internationally: San Francisco Center for the Book, School of the Art Institute – Chicago, Morgan Conservatory, Cleveland, OH, Watermark Museum, Fabriano, Italy. She is a 2014/15 recipient of an IAC grant. ESCAPE GROUP, an artist collaborative based in Chicago and New York, was formed in response to a lack of individual resources globally and locally. Anchored by Anthony Romero and J. Soto, ESCAPE GROUP includes a rotating cast of project-specific collaborators who collectively execute public and print-based projects. The group’s name responds to the pressures of simultaneously holding their working class Latino/a heritage with the social hierarchies of knowledge and sensibilities that often pervade academia and art making. They believe the contemporary moment is one in which individuals must come together to form relationships founded on both commonality and difference. David Hartt creates work that unpacks the social, cultural, and economic complexities of his various subjects. He explores how historic ideas and ideals persist or transform over time. Born in Montréal in 1967, he lives and works in Chicago. He has an MFA from the School of the Art Institute of Chicago and he is on the Faculty at the Milton Avery Graduate School of the Arts, Bard College, New York Recent exhibitions include the Aimia Photography Prize exhibition at the Art Gallery of Ontario, The Canadian Biennial at the National Gallery of Canada and solo shows at LA><ART in Los Angeles, the Art Institute of Chicago, and the Carnegie Museum of Art. His work is in several public collections including The Art Institute of Chicago, Museum of Contemporary Art, Chicago, The Museum of Contemporary Photography, Chicago, The Studio Museum in Harlem, New York, Whitney Museum of American Art, New York, Henry Art Gallery, Seattle, The National Gallery of Canada and The Stedelijk Museum, Amsterdam.In 2011 he received a Louis Comfort Tiffany Foundation Award and in 2012 he was named a United States Artists Cruz Fellow. Dr. J. Elmo Rawling 3rd is a Geology professor with the University of Wisconsin’s Geologic and Natural History Survey. Prior to that he taught Earth Science to undergraduates at the UW-Platteville campus. Most of the students in his classes were non-science majors and all of the courses included field experiences. Rawling grew up along the shores of Lake Michigan and his research interests today include beach and dune landscapes along the Great Lakes, and how they evolve over long time periods. Evan Larson is an Assistant Professor of Geography at the University of Wisconsin-Platteville. He is passionate about teaching, the natural environment, and combining the two. Evan's background is in biogeography, the study of patterns in the living world and the underlying processes that create them. He uses dendrochronology, the study of variability in tree growth rings, extensively in his teaching and research and loves getting outside with his students to experience first-hand the complexity, nuance, and interconnections of our environment.